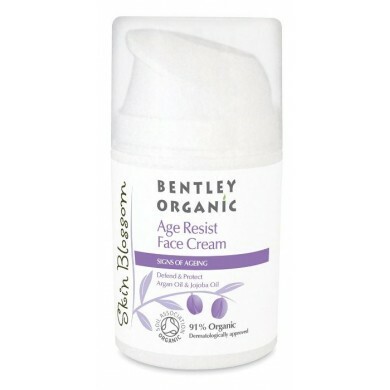 Skin Blossom Age Resist Face Moisturiser restores skin with this potent blend of antioxidant rich Argan and rejuvenating Shea Butter, while Cocoa Butter hydrates and Jojoba protects. 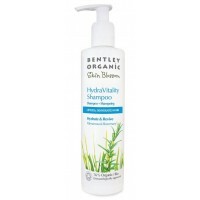 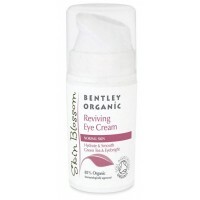 For dry, normal and sensitive skin. 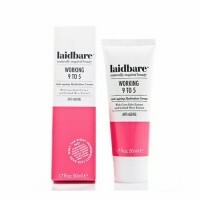 How to use: Apply to cleansed face and neck. 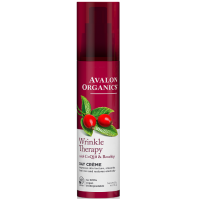 Ingredients Aqua (Water), Glycerin**, Glyceryl Stearate, Theobroma Cacao (Cocoa) Seed Butter*, Butyrospermum Parkii (Shea) Butter*, Simmondsia Chinensis (Jojoba) Oil*, Stearic Acid, Argania Spinosa (Argan) Kernel Oil*, Vitis Vinifera (Grape Seed) Oil*, Cetearyl Alcohol, Isopropyl Myristate, Benzyl Alcohol, Aloe Barbadensis (Aloe Vera) Leaf Juice Powder*, Tocopherol, Sodium Benzoate, Dehydroacetic Acid, Pelargonium Graveolens (Rose Geranium) Flower Oil*, Cananga Odorata (Ylang Ylang) Flower Oil*, Lavandula Angustifolia (Lavender) Flower Oil*, Parfum*, Linalool, Citronellol, Geraniol, Benzyl Benzoate - *Certified as Organically Grown. 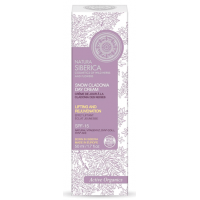 Natural & free from ingredients like SLS, SLES, ALS, Phylates, Parabens, Phenoxyethanol, DMDM, PEGS, Silicones, synthetic colour & fragrance, Urea, DEA, MEA, TEA & Glycols. 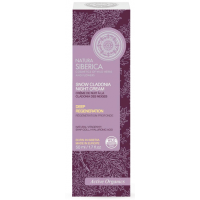 Natura Siberica Snow Cladonia Regenerating Night Cream renews and replenishes your skin while having..